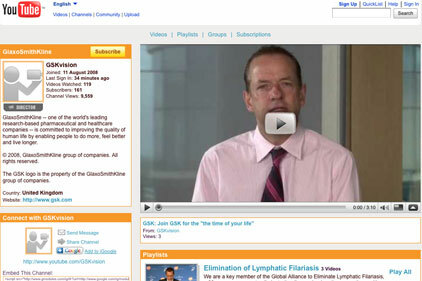 GlaxoSmithKline has launched the latest in a series of videos on its YouTube site aimed at communicating with a new audience via social media. The video stars GSK CEO Andrew Witty and is designed to engage potential recruits by discussing topics including GSK's corporate culture and volunteering programmes. In the US GSK launched a blog and Twitter feed discussing wider healthcare issues in the US last month.